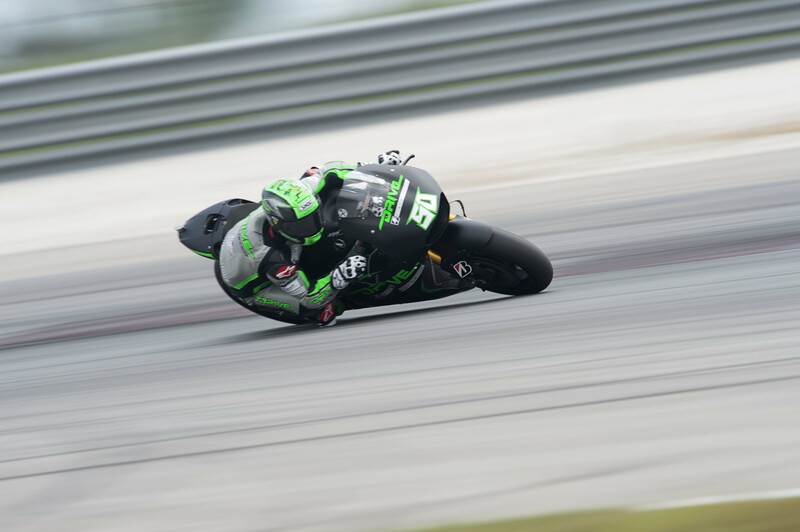 DRIVE M7 Aspar Team rider Eugene Laverty finished the three-day test at Sepang in positive spirits despite finishing the session towards the foot of the time sheets. The Irishman, who joins the series from WSBK, improved his lap time again yesterday to clock a 2’01.815 lap, putting him in a lowly 23rd position. However, a late change to the front suspension of his Open Class Honda RC213-VS racebike improved the rider’s feeling with the bike significantly and he is now looking forward to the next test in Qatar. 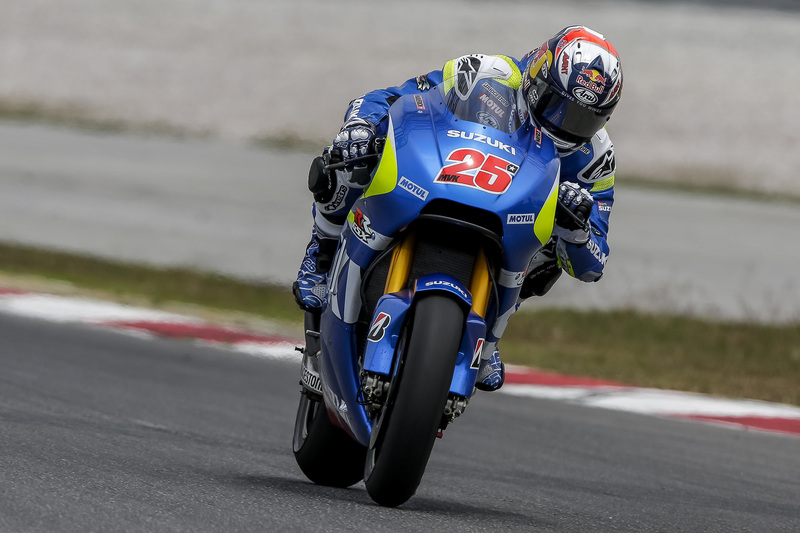 Maverick Vinales is happy with his progress after a strong finish to the third and final day of official testing at Sepang. 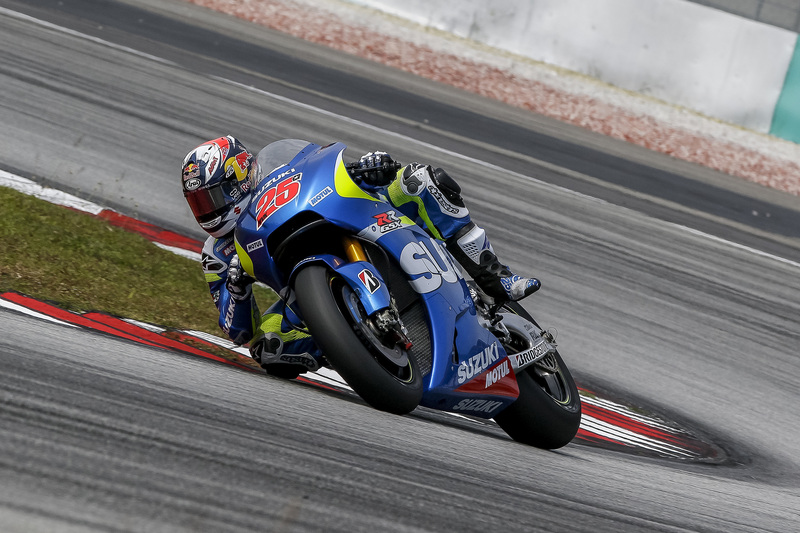 Viñales tested a variety of parts and set-up options on the GSX-RR, completing 43 laps and setting a fastest-lap of 2:00.604 to place him 14th on the time sheets. The Spanish rookie said: “I leave Sepang with a very good feeling and satisfaction and we did a very good job without any major issues. I managed to improve my times a lot, both in the fast laps and the overall pace. I’m learning more and more about the bike, we made some changes in terms of set-up and electronics and I’m learning how to exploit them. Scott Redding continues to improve on the Factory Honda and set his best lap time in final session at Sepang to finish the test 16th on the time sheets. Having finished less than a second off the fastest time yesterday, Redding was disappointed that a fast lap from Marc Marquez late in the final session today increased the gap again, but the 22-year-old Briton leaves Malaysia happy that his confidence aboard the Honda RC213V he’ll race this season is much improved. Redding and his crew will now analyse all the data collected during the three-day test in Sepang ahead of the next test, which takes place at the Losail International Circuit in Qatar, starting on Saturday 14 March. 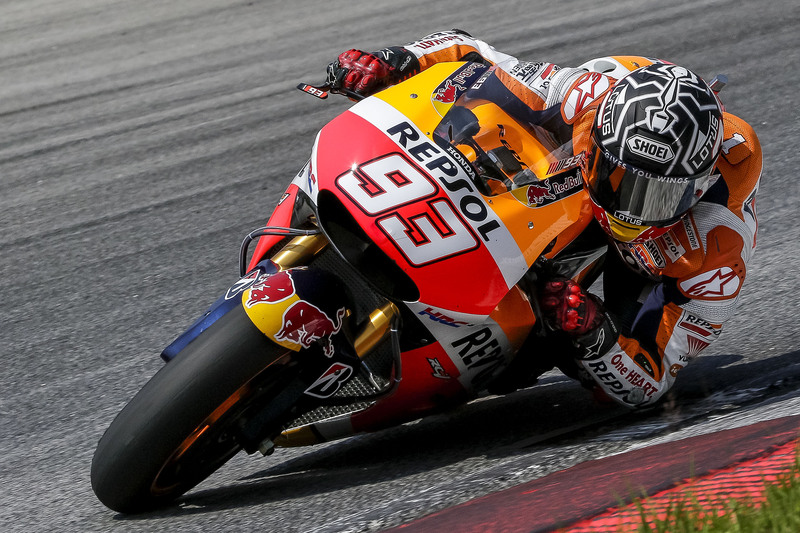 Reigning world champion Marc Marquez has finished pre-season testing on a high after topping the time sheets at Sepang. Marquez laid down the fastest lap with his time of 1’59.115 on lap 13 of 73 – the most laps by any rider today – and this time remained unbeaten for the remainder of this final day. Marquez spent the day testing two chassis options on the RCV213V and worked on engine mapping before completing a very positive race simulation this afternoon with only three laps above 2’00. 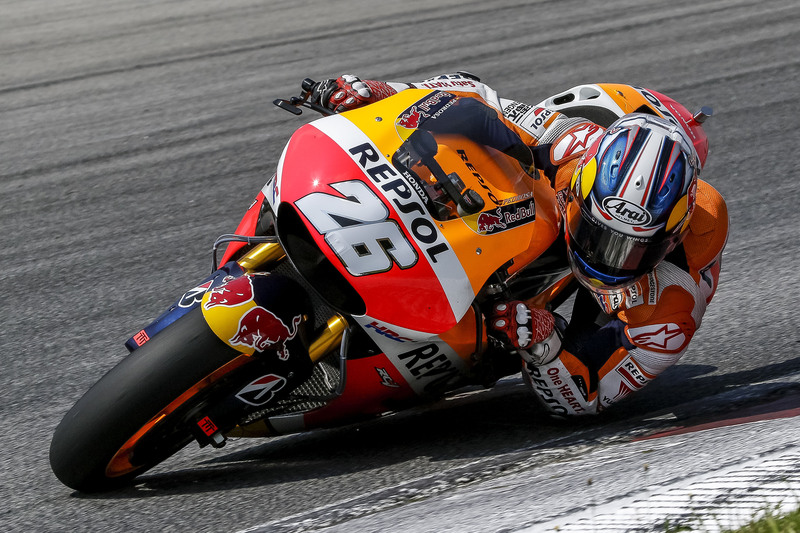 Teammate Dani Pedrosa spent this final day concentrating on electronics settings instead of lap times and completed 51 laps, with his fastest time of 1’59.912 on lap 49 placing him 7th overall. Tomorrow the Factory riders will remain in Sepang for their first outing on Michelin tyres in preparation for the 2016 season, before returning to Europe for some recovery time ahead of the final test in Qatar, scheduled from the 14-16 March. Guy Martin says he is fully focused on securing his maiden TT win and that he now has the bike under him to make his dream become reality. The enigmatic Kimington rider, who will be riding a Tyco BMW S1000RR on the roads this year, admitted retirement was the last thing on his mind ahead of what could be his last ever season between the hedges. He said: “I always give one hundred percent effort, no matter what I’m doing but I’m not going to make any stupid predictions for the year ahead. 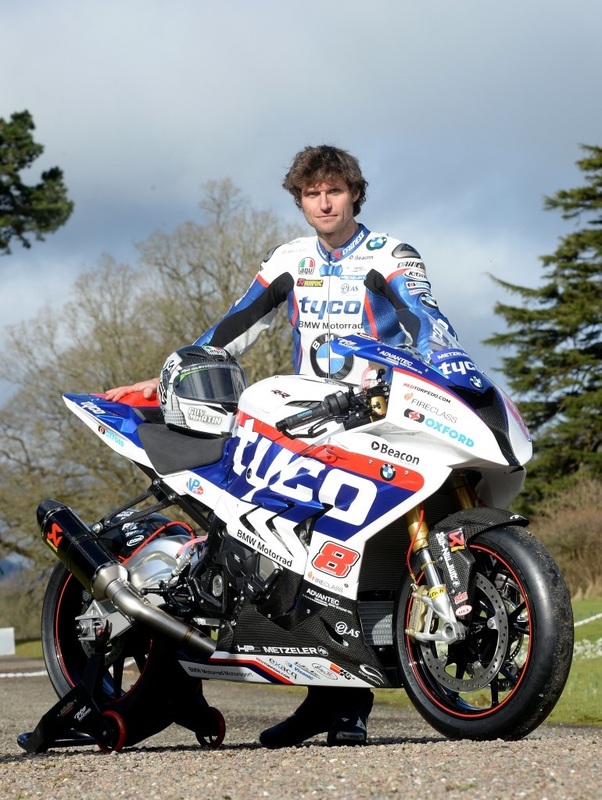 I’m confident that the Tyco BMW Motorrad bikes will make all the difference this year. It really does look mint. 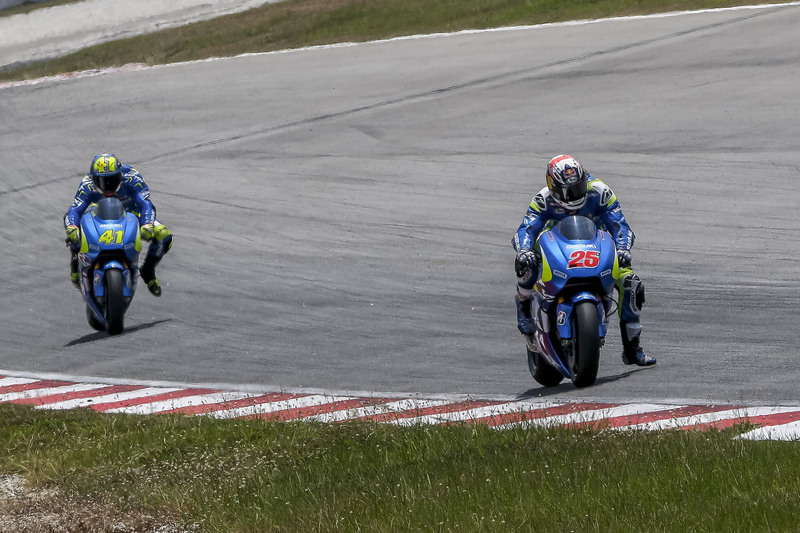 Suzuki MotoGP factory rider Maverick Vinales took twelfth place in the standings during day two of testing in Sepang as he continues his meteoric rise to the top. Vinales completed 61 laps on the GSX-RR and his best lap time of 2:00.731 left him just 0.887 seconds from top-placed rider Marc Marquez. Vinales suffered a small crash but no damage was suffered by rider or machine. Vinales, who is making the jump to MotoGP after a season in Moto2, said: “It was another positive day. I did many laps and I’m becoming more-and-more familiar with the bike and the setting opportunities. I had a little crash but it wasn’t bad, I’m OK and so is the bike, I simply slid off. 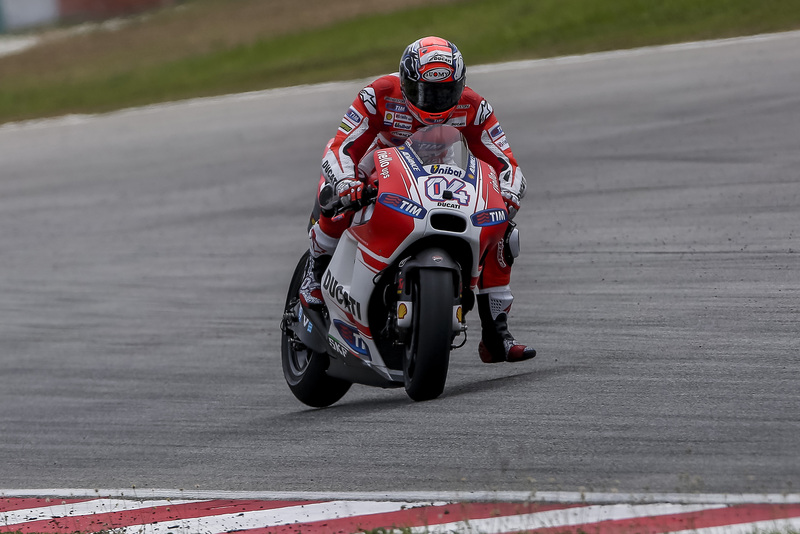 Factory Ducati riders Andrea Dovizioso and Andrea Iannone made further progress on the GP15, riding the new bike to a sensational stunning third and fourth place at Sepang. Today it was the turn of Iannone to be the quickest Ducati rider: the man from Vasto immediately improved his time set yesterday by almost two seconds, and then right at the very end shaved off another four-tenths to finish Day 2 in an excellent third place overall with a time of 2’00.098 seconds, just two-tenths away from leader Marc Marquez and second-placed rider Jorge Lorenzo (Yamaha). 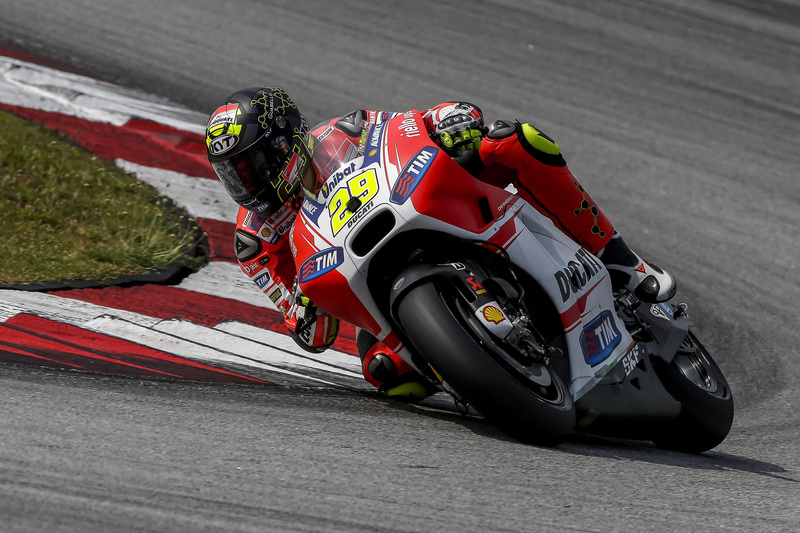 Andrea Iannone said: I managed to immediately find a better feeling with the GP15 and I am happy that, day after day, doing more and more kilometres with this bike, I can get more feeling. In addition, we managed to improve the bike’s set-up and we were pretty quick. Rather than the time attack I did in the afternoon, I’m happier with the work we carried out throughout the day, because it allowed me to do my time with the hard tyre. 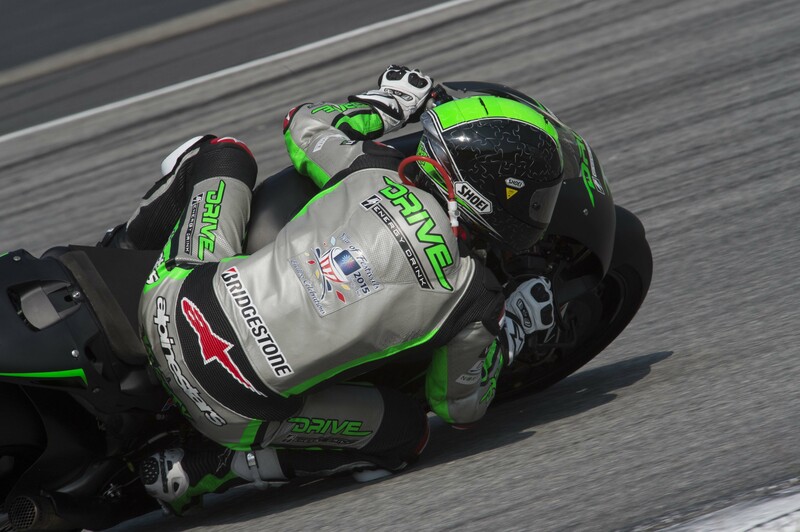 DRIVE M7 Aspar rider Eugene Laverty is slowly getting to grips with the customer Honda one class bike after posting his best ever lap around Sepang during day two of testing. Laverty spent the day working on engine braking and chassis, improving his braking and corner entry, and his efforts were rewarded with his best ever lap time of 2’01.944, leaving him in 19th position on the time sheets. 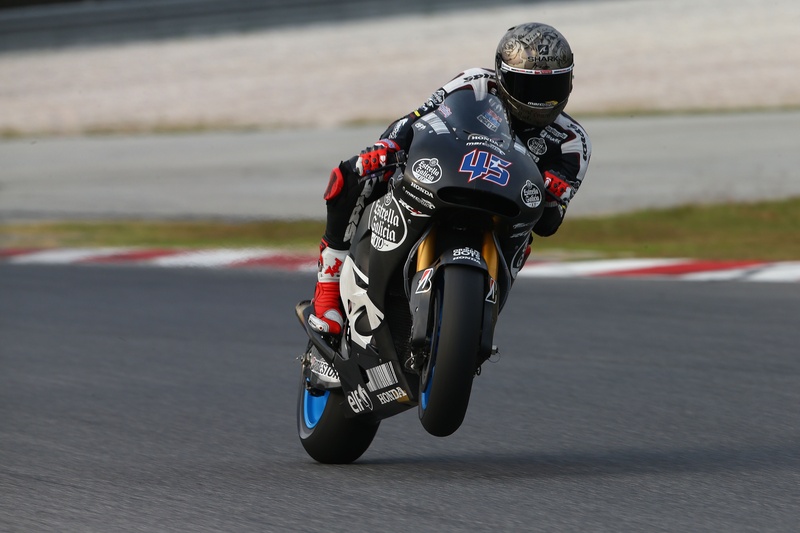 The second day of testing at Sepang proved a positive one for Scott Redding as the British hotshot improved his pace to finish the day 13th and less than a second off the fastest time. Redding struggled initially to get the rear tyre working for him this morning, when track conditions were at their best for fast lap times, but the 22-year-old Briton was immediately back on the pace following a tyre change on his Marc VDS factory Honda RC213V. Together with his crew Redding focussed today on refining set up to improve feedback from the front tyre, giving him more confidence as his pace increased. This work was rewarded with Redding’s fastest lap time of the test so far, which placed him just 0.5s off a top three position at the end of the day. 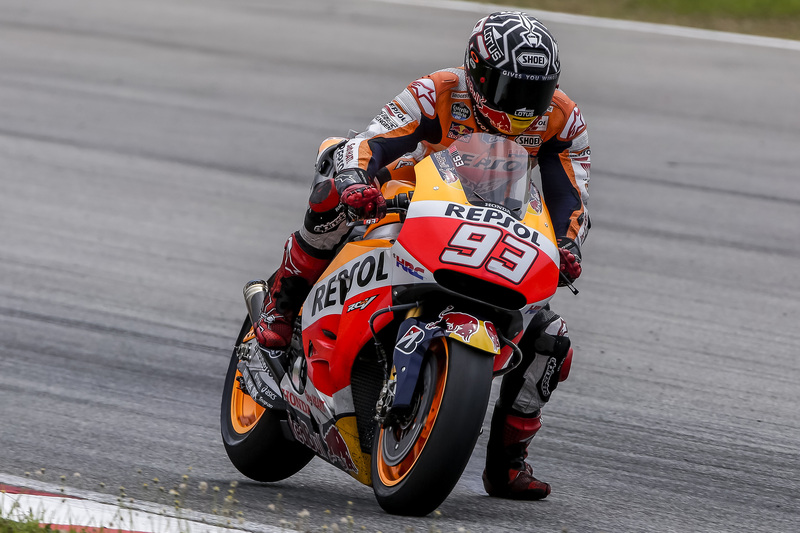 Honda’s Marc Marquez stormed back to the top of the time sheets after a setting a blistering lap during day two of testing at Sepang. Marquez put yesterday’s braking woes firmly behind him as he became the first rider to break the two-minute mark just before midday. He spent the day working on electronics and recorded his fastest lap of 1’59.844 on lap 22 of 63, and although he had a small crash in the afternoon at turn four, he escaped unscathed. Repsol teammate Dani Pedrosa finishing the day in fifth place and set his fastest lap of 2’00.275 on lap 36 of 57.